Type the function that you want in the function input. Move the points A and B to make the desired interval. Insert the amount of subintervals you would like. Use the slider to increase or decrease the subintervals. 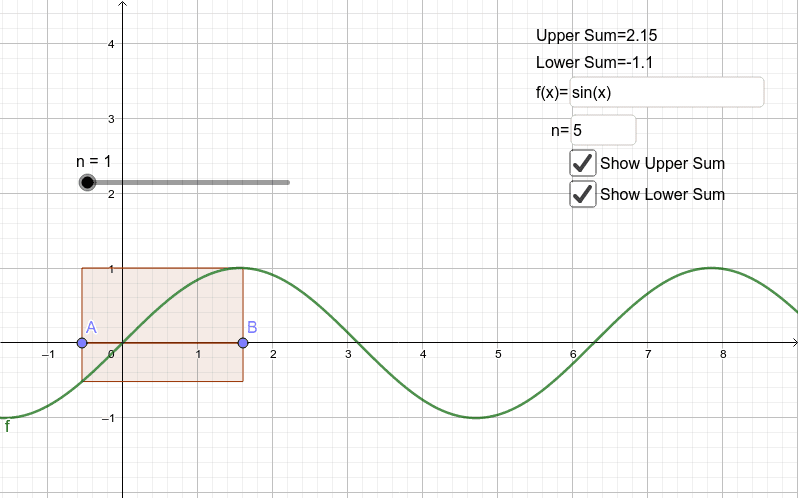 Check the desired box to view either Upper Sum or Lower Sum.